With the only other Pocket PC based Consult software available at the hefty price tag of $600 and out of the reach of all but those loaded with cash, I decided to come up with the Pocket PC Edition of ECUTalk, with similar features available as are currently in the Standard Edition. If you find this software useful and are thankful there is something available for less than $600, I'd appreciate a donation of any amount (see below). ECUTalk Pocket PC Edition requires a Pocket PC that supports the .NET Compact Framework (nearly all Pocket PC 2000 and more recent). It also requires that you are able to hook up a serial device by some method, most often with a null modem adaptor and a serial sync cable, but you should determine this for your specific PDA. Unfortunately not all will be able to use serial devices. Also, this may be obvious to some, but you also require a serial consult interface. See Blazt or PLMS for serial consult interfaces. If you have Windows Mobile 2003 or Windows Mobile 5, which come with a version of the .NET Compact Framework in ROM, you may be able to skip steps 1 and 3 - you can return to these steps only if the application does not run (it may run faster with the version installed in ROM, so its worth a try). 3. Install the downloaded file - this will install the installer (im guessing this allows you to install it on multiple Pocket PC's) locally to your hard drive, and then installs it to the detected Pocket PC. 7. Double click "My Pocket PC"
12. Cut this shortcut, and paste it where you desire within the \Windows\Start Menu\ or \Windows\Start Menu\Programs folders. 13. Installation done! Run ECUTalkPPC from the Start menu after hooking up your consult interface to your car, it will automatically connect once the car is running and the interface is connected (with v1.1 you need to click detect or enter port and click connect). 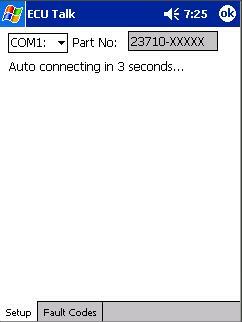 ECUTalk Pocket PC v1.13 Beta - download in zip format (28.4 kB) or self-extracting zip format (92.0 kB). ECUTalk Pocket PC v1.11 Beta - download in zip format (28.3 kB) or self-extracting zip format (92.0 kB). 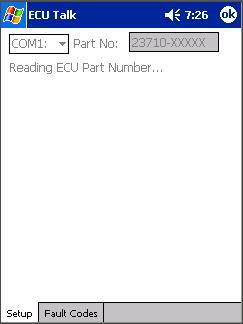 ECUTalk Pocket PC v1.1 Beta - download in zip format (28.5 kB) or self-extracting zip format (92.0 kB). ECUTalk Pocket PC v1.0 Beta - download in zip format (28.2 kB) or self-extracting zip format (92.0 kB). 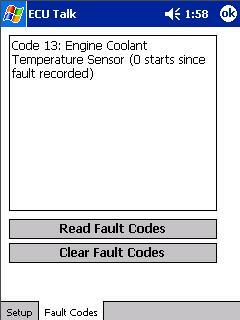 Changed the name of some of the sensors and the logging format to match Nissan Datascan format (as there are some log viewing tools available that use that format). 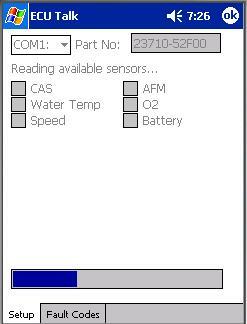 HP Jornada 568 (possibly any in 560 series) have an unfortunate issue, which thus far seems to be a problem with the PDA's serial comms implementation, which has not shown up on any other type of PDA thus far. 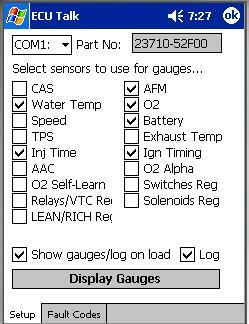 The problem is when 6 or 7 bytes of sensor data are requested for gauges, the data read often pauses for a few seconds at a time. A work around is to not choose a number of gauges that equals 6 or 7 bytes. Sensors are either dual byte (CAS, AFM, AFM(RH), Inj Time, Inj Time(RH)) or single byte (all others). If the gauges you have selected add up to 6 or 7 bytes, then you may experience this problem. Eg, 6 x single byte sensors = 6 bytes. 3 dual byte sensors = 6 bytes. 2 dual byte sensors, 3 single byte = 7. Also, more of an obvious issue is that more guages you show, the weirder they will start to look as they distort as they get smaller. A good number is 6 (although watch for the above issue). 08/09/2006 - v1.13 - Has rest of the changes (those specific to 300ZX/GTR) to log column headings to be consistent with other log viewing programs. Also dropped the beta from versioning, doesnt really make much difference what it's called! 04/09/2006 - v1.12 Beta - Has fixes for the Euros so their logs have decimal points rather than commas so the logs are able to be imported into Excel (or other log viewing programs). 04/09/2006 - v1.11 Beta - Made ports easier, just select the one you want from dropdown. 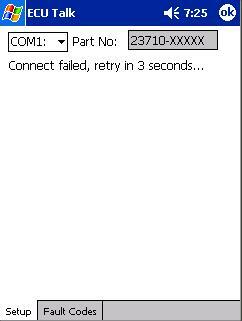 No auto detection/connection (but it auto retries after you select it). 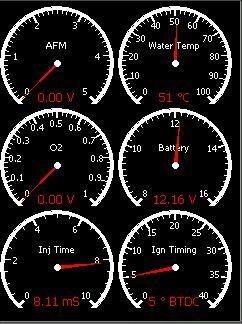 Also removed register sensors as they are useless for gauges.